Learn free-motion quilting using proven daily exercises! In four classes, you will gain confidence with basic shapes. 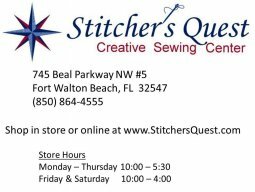 Bring your sewing machine and sew with us! This class will meet four times, every-other-week beginning Monday, September 3, at 5:30 p.m. Register online HERE. We will be starting a Beginning Quilting Class (a six week course) on Monday, September 10, at 10:15. Register online HERE. 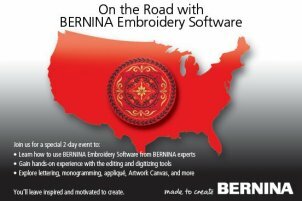 Final 3 Days for AWEsome deals on Koala Cabinets and BERNINA sewing machines. Both sales end Friday, August 31st.